Gainesville Eye Physicians and Optical now uses the LenSx® Laser System to produce amazing results and quicker recovery times for cataract patients in North Central Florida. We’re the first practice in the area to offer this state-of-the-art technology. LenSx® delivers completely bladeless and pain-free cataract surgeries with significantly more accuracy than manual procedures. Traditional surgical blades are replaced by a computer-guided laser, producing more precise incisions. 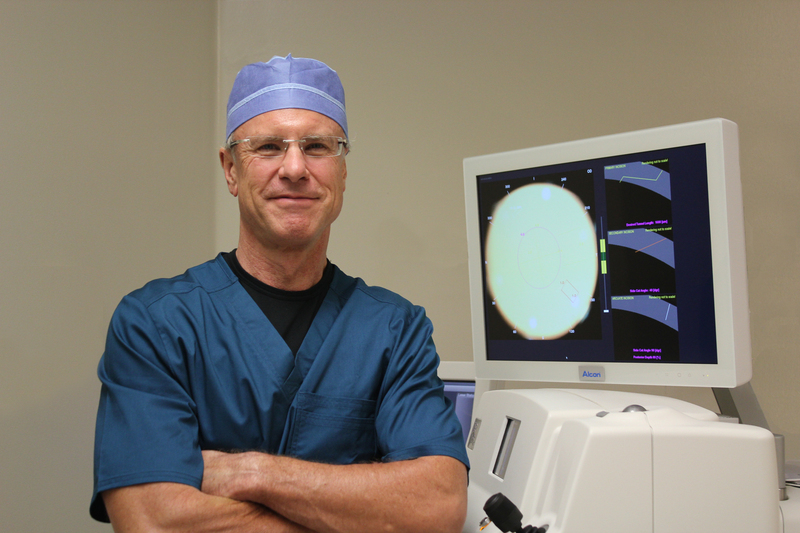 The system also captures high-resolution images of the eye and provides detailed measurements and other data Dr. Snodgrass uses to plan and perform the cataract surgery. For patients, the LenSx® Laser System means better vision and faster healing. The laser uses half the ultrasonic energy once needed to remove cataracts. That translates to less risk and inflammation. In most cases, the patient’s vision improves almost immediately after surgery. Cataracts are cloudy areas in the lens of the eye that prevent light from passing, making the patient’s vision similar to looking through frosted glass. There are several warning signs for cataracts that should prompt individuals to get an eye exam including cloudy vision and lens discoloration. Surgery is the only way a cataract can be removed. The surgeon cuts an incision in the eye, removes the natural cloudy lens and replaces it with a clear artificial lens implant. Dr. Snodgrass, who has performed more than 20,000 such surgeries, uses this remarkable new tool to make more precise incisions than even the steadiest, most experienced hand could hope to accomplish. With LenSx®, it’s exactly right every time.